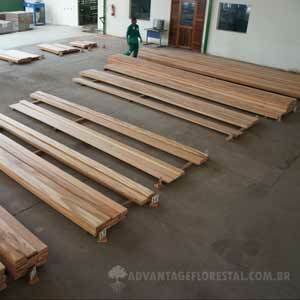 We produce both FSC certifed and non-FSC certified exotic hardwood decking lumber. 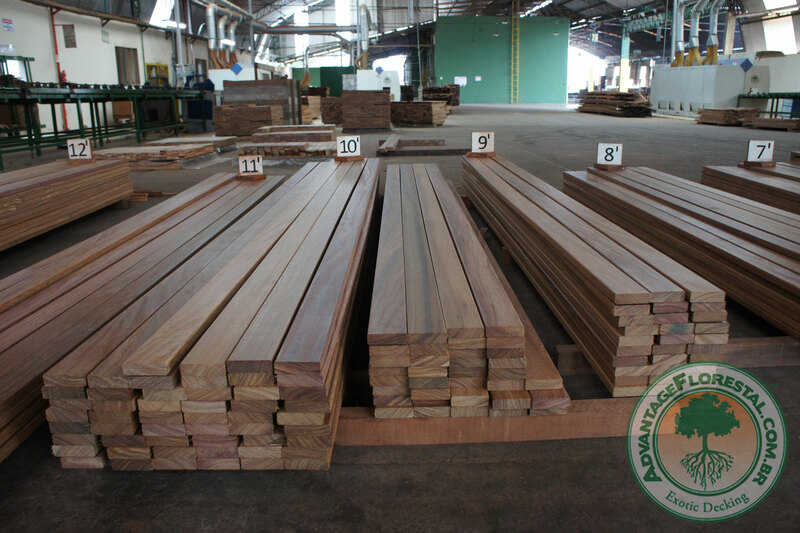 We mill exotic hardwood decking from a variety of species such as Ipe, Cumaru, Tigerwood (Muiracatiara), Jatoba, Itauba, Garapa, and many other South American species. 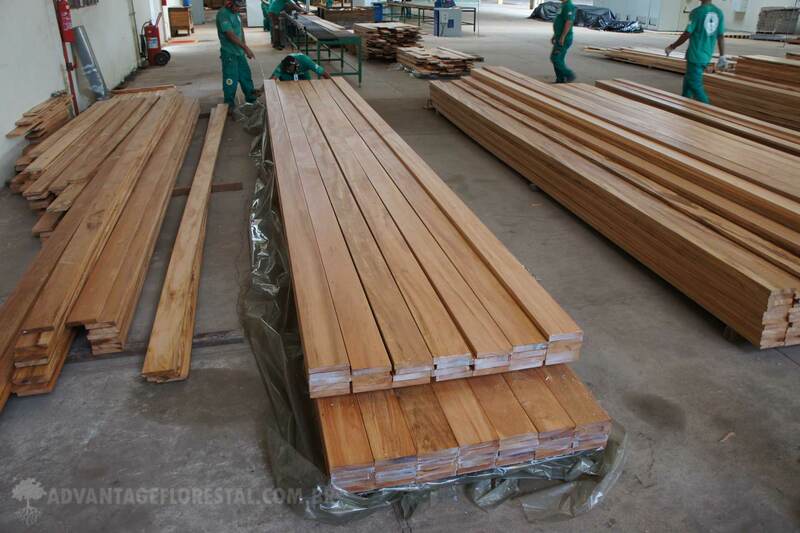 We manufacture decking for several different markets such as North America, Europe, Australia, and several other regions. We mill a variety profiles such as smooth, S4S (surfaced 4 sides) E4E (eased 4 edges), Anti-slip, and custom profiled. 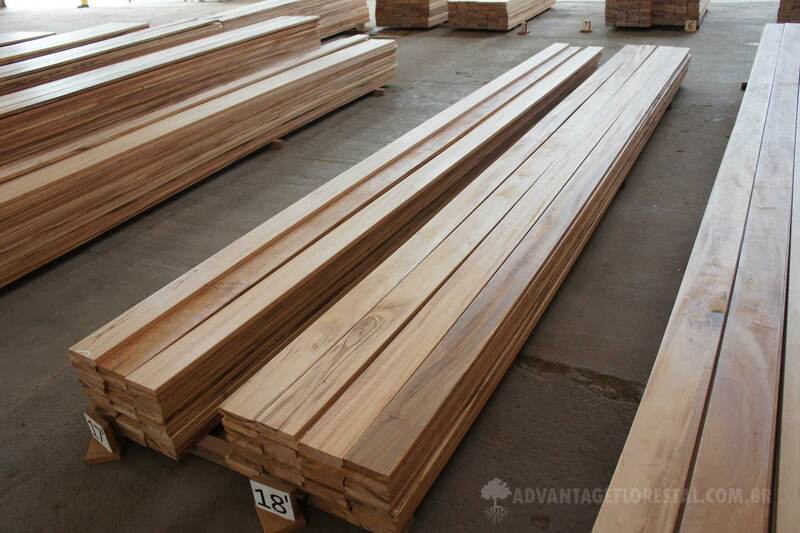 The standard radius for most decking is 3mm, but we also produce 5mm radius edges, and other sizes upon request. 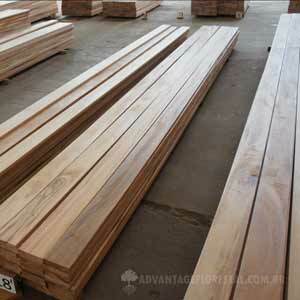 Our Ipe decking is available AD (air-dried) or KD (kiln dried). 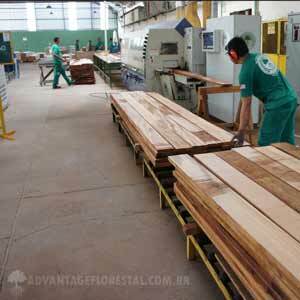 The other species we mill are typically produced kiln dried. 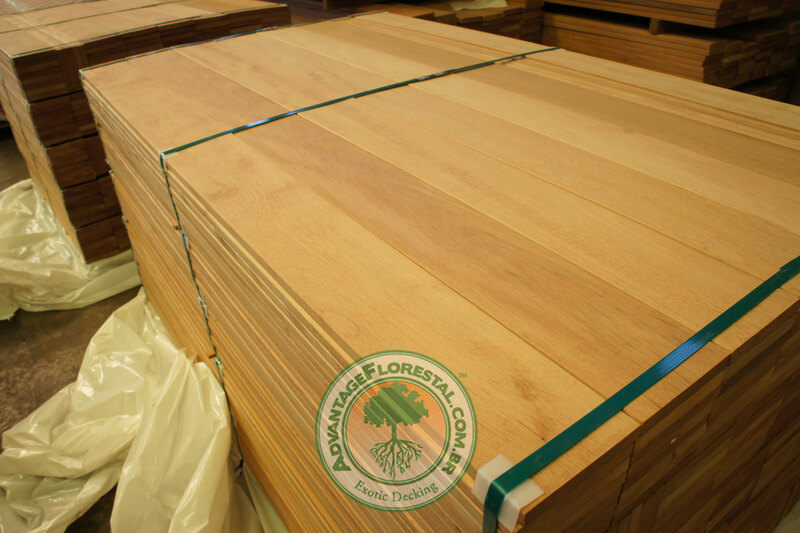 Most commonly we kiln dry decking to 12-14% MC, but we can also kiln dry our exterior decking to your required moisture content. 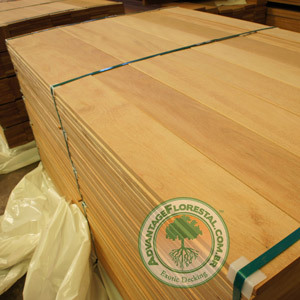 Like all of our wood products we can provide our decking FSC certified or non-FSC. 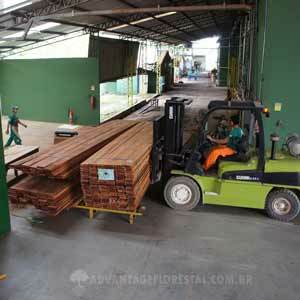 We have an international sales team that is familiar with most of the regional deck board sizes. 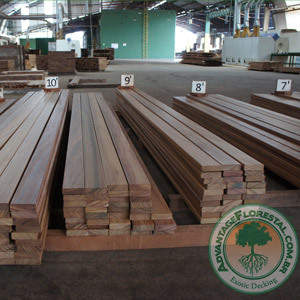 Advantage Florestal has the ability to cut decking in most any size and regularly produces different sizes for different countries. Give us a call or send us an email so we can give you some alternate idea’s for a new decking trend. Knowing you are buying the best products at the best prices will give you peace of mind. Our team is always looking out for our customer’s because we understand that you are too! Ready to get started on your decking project ? Please fill out the form below and we will contact you to get started.